Having a hard time finding the answer for your assignment about the Vietnam War? Finding it extremely difficult to gather sufficient information from textbooks or the Internet? …to study just 5 mins a day and get “A” in your exam? …to have easy and digestible content always by your hand? …to study with ease when others are struggling with the Vietnam War? If that sounds like something you want for your own life, this “Top 49 Questions about Vietnam War” is the right e-book for you! Students who are tired of sitting in front of computer or textbooks digging for information and want to understand the war easily and quickly. Researchers who are looking for comprehensive and organized materials to support their research with LESS time and effort. People who want to learn more about the Vietnam War and use the knowledge for personal improvement or a topic for discussion during your next social gathering. All questions are purposely chosen to address different aspects of the Vietnam War. From basic background information of when and how did the war start, to in-depth discussion about the impact of the war and the Viet Cong’s strategies, everything you need to know about the war is concisely summarized. What’s more, the questions are organized in such a way that you can refer easily. You just need 5 mins a day for each question to master the conflict! No more questions asked about the articles’ author. We do the citation for you as well. To show our gratitude and dedication to a reader like you, you will enjoy FREE lifetime updates on the latest editions should the book is revised. Notifications will be sent to you to inform you about the update and where to download the latest book. Okay, so what’s the cost for this Incredible E-book? Well, realizing that the values of this e-book are worth more than $100, we could easily sell it for $70.00 or even $50.00. That’s already way cheaper than the values it brings to you – think about your time and efforts you could’ve instead wasted doing something you don’t enjoy. The good news is we’ve decided to make it affordable for all of you. In fact, your total investment for “Top 49 Questions about Vietnam War” is only $34.95! $29.99! $12.90! The offer is limited to the first 49 14 customers only! We also have another Bonus for you! 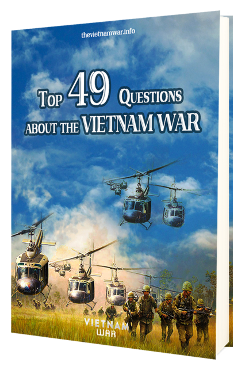 “The Vietnam War in 27 short-answer Questions” e-book of what we call “The Vietnam War for kids”. This 6-page long e-book addresses 27 basic questions you need to know about the conflict in Vietnam. Each question is answered concisely and sharply in just a few sentences. So if you are someone who do not enjoy reading long text, this e-book is definitely a great additional resource for you! Just think about it. With these e-books, you’ll never again have to worry about assignments or exams about the Vietnam War! Buying our e-book is Risk-Free. If you buy and find that our e-book isn’t what you expected, we’ll give you your money back. 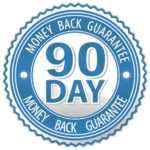 Get the ebook NOW and receive a full refund within 90 days, no questions asked. P.S. Remember, it’s not how much you stand to learn, but how much TIME & EFFORT you stand to WASTE by NOT taking action.